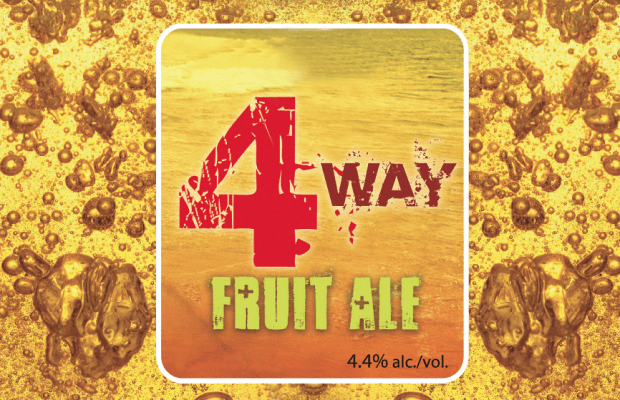 What is 4 Way Fruit Ale? A refreshing, unfiltered wheat beer, brewed with four delicious fruits. Passion fruit, Mango, Raspberry and Pomegranate combine to produce a prominently aromatic fruit beer, with tropical and citrus notes. This medium dry beer brewed by Howe Sound makes for a perfect summertime sleeve! Howe Sound Brewing is a small, local, family run, craft brewery located in Squamish, BC. In 1980, BC’s John Mitchell and Frank Appleton pioneered North America’s first modern craft brewery at Horseshoe Bay on BC’s spectacular Howe Sound. This began what has now become known as the “craft brewing renaissance”. Known as the grandfather of micro-brewing in Canada, John Mitchell helped design the Howe Sound Brewery and worked as its first brewer, developing the initial recipes. Since then, Howe Sound has expanded to brewing 26 different varieties of ales and lagers and now distributes through 4 provinces and 5 US states.